As club football at winds up in England, we look back at some of the best young players that have stood out this season. 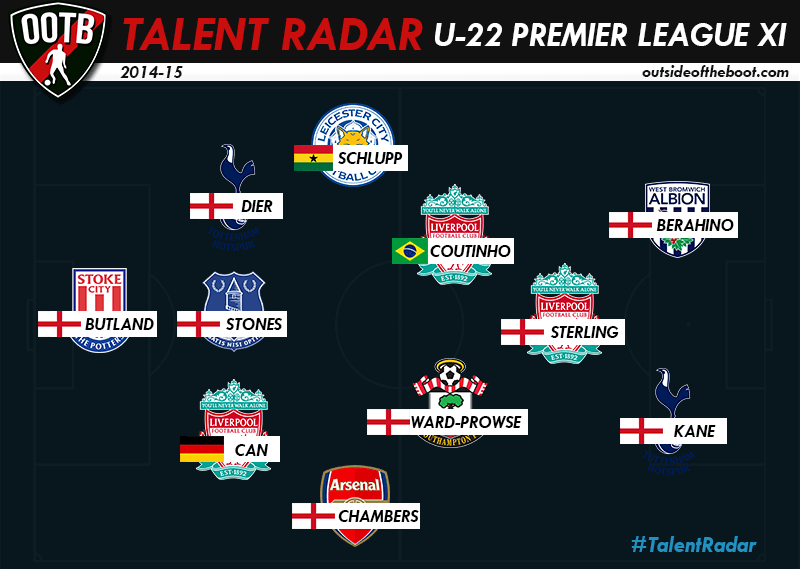 Amongst the many that have impressed, we pick out league’s XI best young performers to create the U-22 Premier League Team of the Year. You can read this to know more about Talent Radar to see who is eligible for this player tracking feature. After being loaned out to several other clubs over the past few years, Stoke City gave Jack Butland the chance to impress in the Premier League this season. While it may be true that three appearances in the league is next to nothing to make a judgement, Butland has impressed more than the other keepers who are eligible for the Talent Radar feature. The 22 year old requires more time to get used to the intensity of the league but his two clean sheets in three appearances has shown he has the composure to be a keeper of Premier League quality. What did stand out in the three games that he played was his vision and distribution. Arsenal’s recent transfer policy has changed in recent times with an emphasis on combining world class foreign talent with a strong British core. Chambers was more of a signing for the future but he’s acquitted himself well in his debut season at the Emirates. The youngster has filled in both right-back and centre-back when called upon showing potential in both positions. His role in the side may have reduced towards the end of the season but he displayed enough to feature in this XI. A lot of Liverpool’s signings have come under fire for their lack of performance as Liverpool’s league position will drop by (possibly) 3 places. But the one that has unarguably qualified as a success is Emre Can. The ex-Bayern man is a midfielder by trade, but has been Rodgers’ go to man, playing as full back, and center back when needed. Physical prowess, and technical excellence together are the recipe for success in the Premier League, and Can possesses these attributes in spades. More than potential, performances have caught the eye and marked Can as one of the reliable players at Anfield. It’s been a disappointing season at the Goodison with Martinez’s men unable to build on last season’s success. Relegation didn’t seem a far cry after the first half of the season but the Merseyside club has had a recovery of sorts in the recent past and John Stones played a crucial role in it. The young defender has continued to impress with his calmness on and off the ball. He also got off the mark for his side, scoring against Manchester United in a 3-0 victory. The young English defender was signed by Spurs in the close season from Sporting CP, and has been a solid presence at the back. His consistent performances and risk free approach allowed him to displace the likes of Chiriches from the starting 11. Crucial to Pochettino’s style of defending due to his pace and versatility, Dier has settled in well, especially when you consider it was just his first season in England. 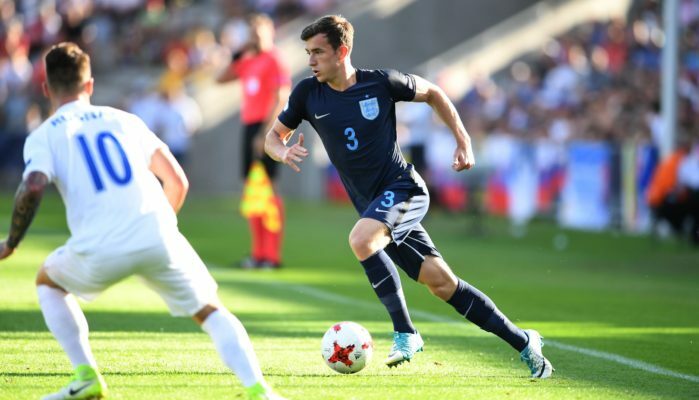 His ability to perform at both right back and center back make him a very useful addition to a squad, and England should consider themselves quite fortunate to have acquired his services on the international stage. In his first season in the Premier League, the German born Ghanaian has been one of Leicester City’s positives that they can look back on this season. Schlupp has shown his capability to adjust well to the pace of the league. His defensive contribution has been immense, showing excellent abilities to intercept, block and put in a solid tackle at the right time. With Leicester City avoiding the drop, many will keep watch to see if the 22 year old can keep up his good performances. Part of Leicester City’s youth academy, his performances have earned him multiple call ups to the Ghana national team. The 20 year old Southampton youth product had his first full season two years ago but has made considerable progress this season. Manager Ronald Koeman may have handed him fewer appearances than the previous Premier League season but this season has been a much steeper learning curve for the youngster. His play has shown that he has improved in various departments: holding on to the ball despite his stature, his passing and well as his ability to whip the ball into the box. England may demand physicality from its players it’s time they realised that there is a lot more to physicality in the game of football, with Ward-Prowse showing just that. The SAS was much heralded last season in what was an excellent season for Liverpool. However, the midfield wasn’t shoddy either with the likes of Sterling, Coutinho, and Henderson stepping up. With the loss of Suarez and Sturridge’s injury hit campaign, the Reds have been unable to hit the heady heights of last season. One of the bright spots has been Coutinho who’s always neat and tidy on the ball and certainly has a flair for the spectacular in front of goal. With Liverpool set to regroup, the Brendon Rodgers will be hoping the Brazilian plays a crucial role next season. It’s been a bit of a roller coaster this year for Sterling, with a bright start to the season giving way to a long drawn saga over the contract. Off field issues aside, the fact that a player who’s just turned 20 is being hailed as Liverpool’s most important player for the future tells you the story. 7 goals and 7 assists, mostly from wide areas, is a great contribution. He hasn’t had the explosive impact of last season, but this is probably down to the fact that opponents pay much closer attention to him (he’s the second highest fouled player in the league, behind Hazard). Most importantly, Sterling is learning to cope with the pressure of expectation, and this will hold him in good stead for many years to come. 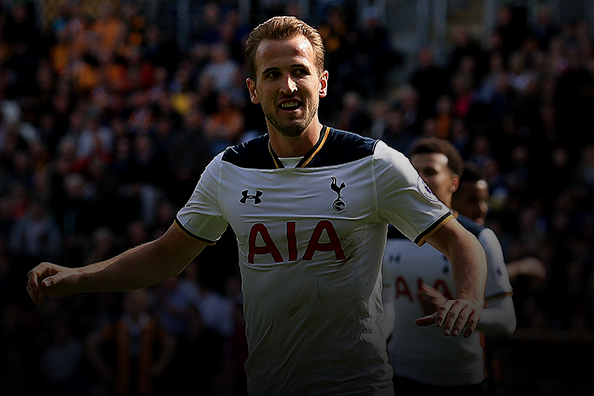 One of the stories of this Premier League season has to be the emergence of Harry Kane. Despite the rampant commercialization that has pervaded modern day football, a local talent making it big preserves some of the romanticism we associate with the beautiful game. Kane, acclaimed to be “one of their own” has gone from strength to strength this season after impressing in the Europa League and claiming a spot in the starting XI. Showing a maturity beyond his years, the striker also made his England debut and of course found the back of the net on his debut. This season has thrown up two good young English strikers, with both featuring on this team. The West Brom man started the season like a house on fire, and earned a spot in the England squad too. 14 goals in the league is a good contribution from the youngster. He’s been the key element for them, contributing 38% of the team’s goals. Berahino has become famous for his electric pace and sharp finishing, a combination that is always going to get goals. He’s eventually been upstaged by Harry Kane, but the youngster remains in contention for a spot in the national team. A move may be on the cards this summer, and playing alongside better players in a more competitive environment may just bring out the best in him.